Agility Form Studio is a visual design tool for modifying existing or creating new forms for WiSys WMS on the mobile data collection device. Out of the box, WiSys deploys standard forms for the mobile data collection device. 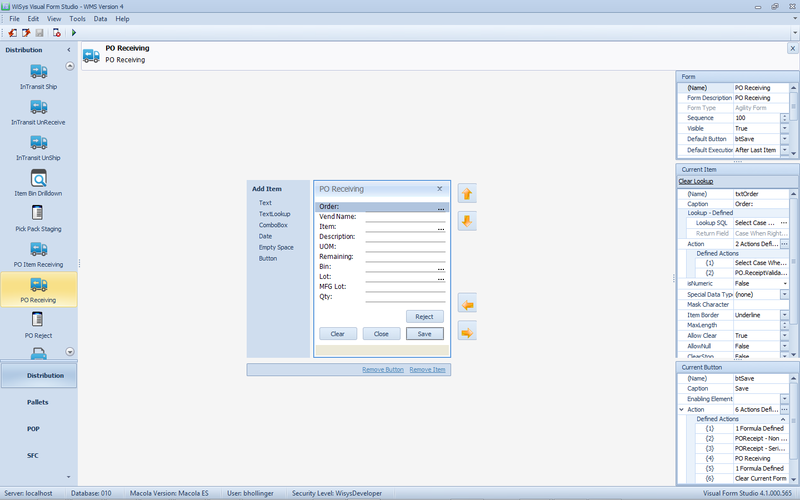 If these forms do not meet your business processes then Form Studio may be used to modify these forms. Additionally, if an out of the box form does not exist for a specific process then Form Studio is the tool for creating new forms. A good example of an existing form that typically gets modified is the PO Receiving form. As an example, if you have specific pieces of information you need to collect when you receive a purchase order then you can add these extra fields to the form. With these new fields you can add validation and lookups and then update any Macola table or custom table with this collected information. When creating a new form you literally start with a clean slate. So, you can add as many fields for data collection as you wish. You can also add up to six buttons and link them to any of the business transactions in our developer SDK and visually link data from the fields on the form to the properties of the business transaction. Button clicks and field validation can execute any WiSys Business Transaction With simple clicks of the mouse. 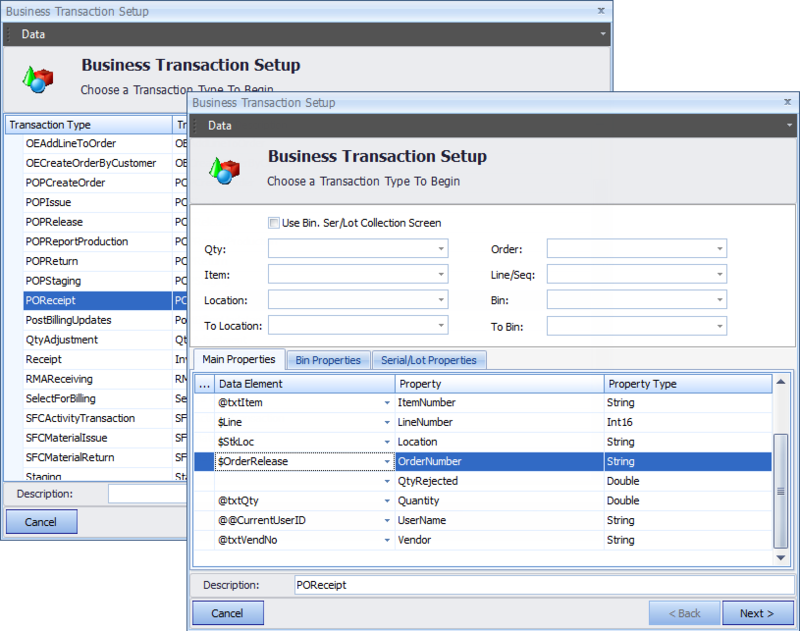 Simply map fields on the form or variables to the properties of the business transaction.